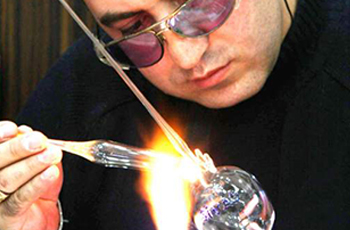 The glass oil lamp was designed and produced by the artist Halil İbrahim Mert by means of glass-blowing technique. This technique involves melting the glass in Salama oven and shaping it without using any mould. 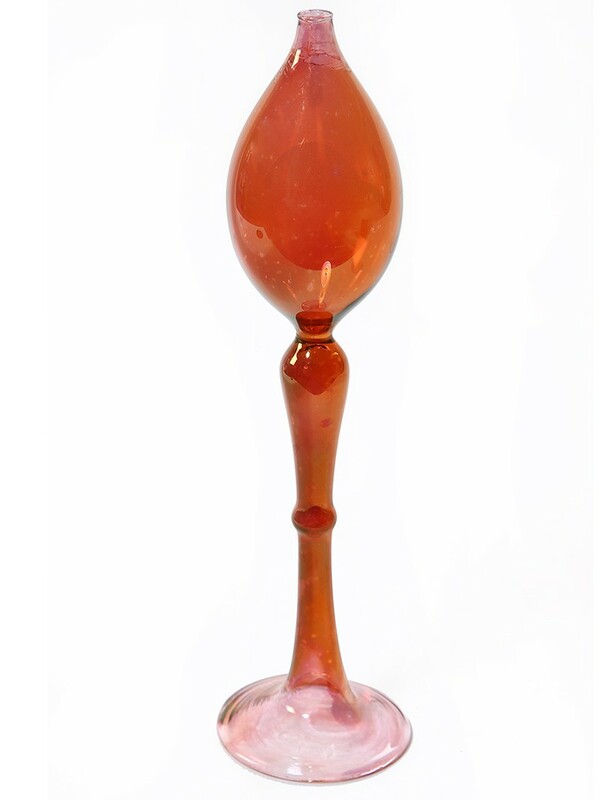 The oil lamp was hand painted by lustring glass painting technique. The lamp requires oil. 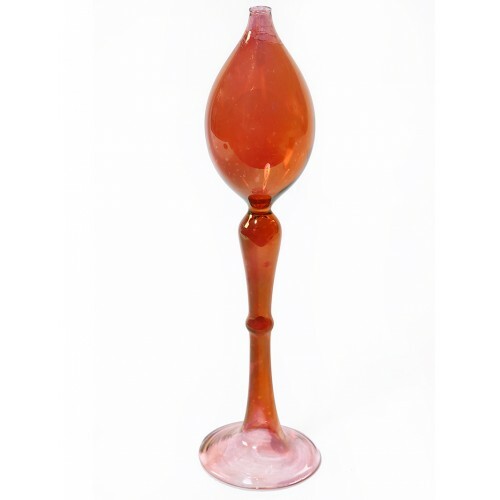 Material: glass, pink oil lamp, candle wick. Dimensions: Height 24, diameter 6 cm.